Pure Phase Ensemble 4 feat. Mark Gardener (RIDE) have released their ‘Live at SpaceFest!’ LP. 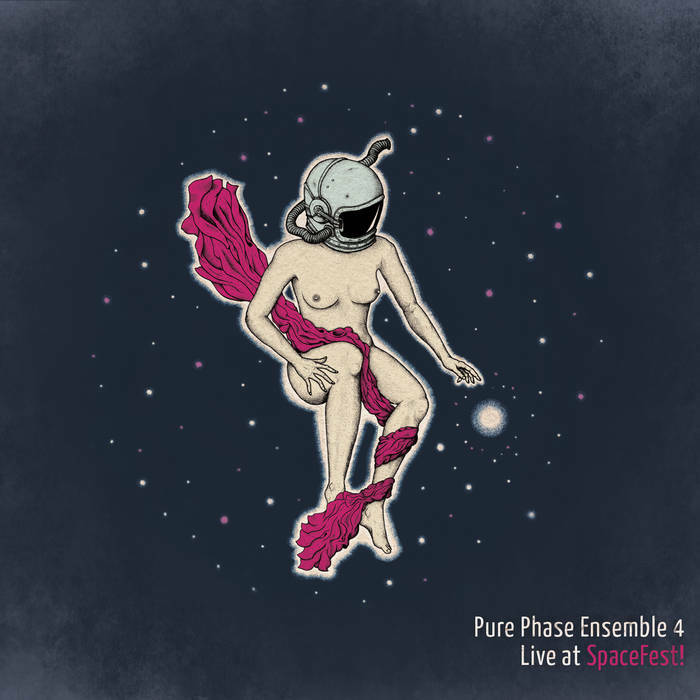 Pure Phase Ensemble is an international music collective, created especially for the SpaceFest festival in Gdansk, which takes place annually in December and is organised by the Nasiono Association. The city of Gdansk plays host to this blossoming music festival each year in the first week of December, at which time numerous select musicians from Poland and abroad gather to take part in a special workshop series. They collectively compose a concert’s worth of music, which they then present live to the festival-goers. Each year, this unique performance is recorded live and subsequently released as an LP. During the latest SpaceFest, Mark Gardener, the frontman of celebrated shoegaze pioneers RIDE who also recently released an LP with Robin Guthrie (Cocteau Twins), occupied this seat of honour.